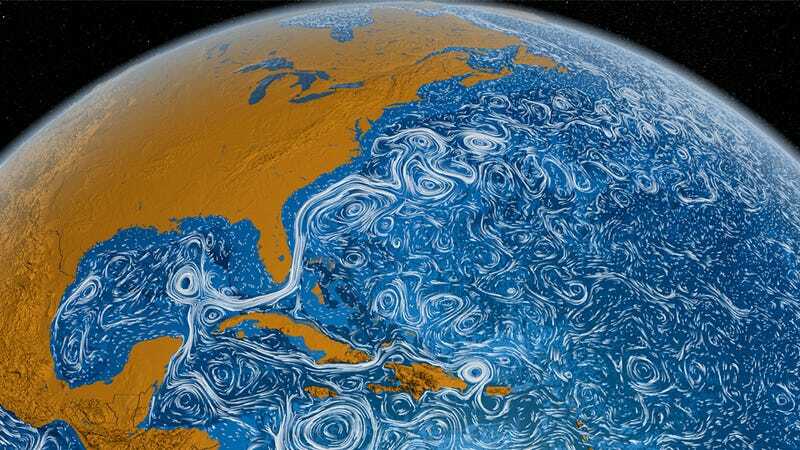 The animation was created using NASA and JPL's high-resolution model of the global oceans, which is normally used for running simulations and predicting changes in the currents. But this time the results were exaggerated to produce this short film that looks like it sprang from a Vincent Van Gogh canvas. Once again Mother Nature, you've bested our most talented artists.